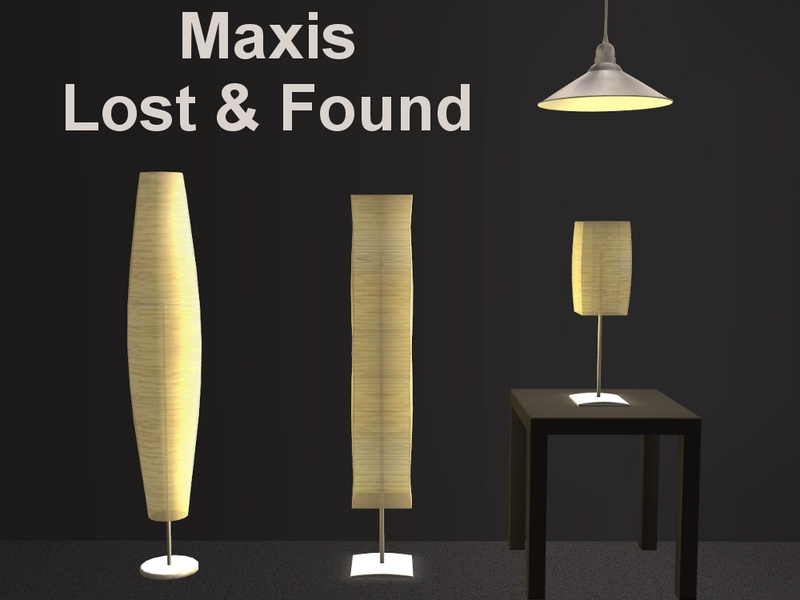 Mod The Sims - MAXIS "Lost & Found" IKEA Lights - Now for MTS - Recolourable Too! Update: Though it has been brought to our attention that three of these lamps had indeed been done before, the DUNO lamp had not. These are also base game compatible and recolourable, too. Michelle found these unfinished lights in the IKEA Home Stuff Pack, we took a look around and couldn't find where anyone had finished them and we thought...why not give it a go for MTS? After all the retexturing, remapping, resizing, etc. 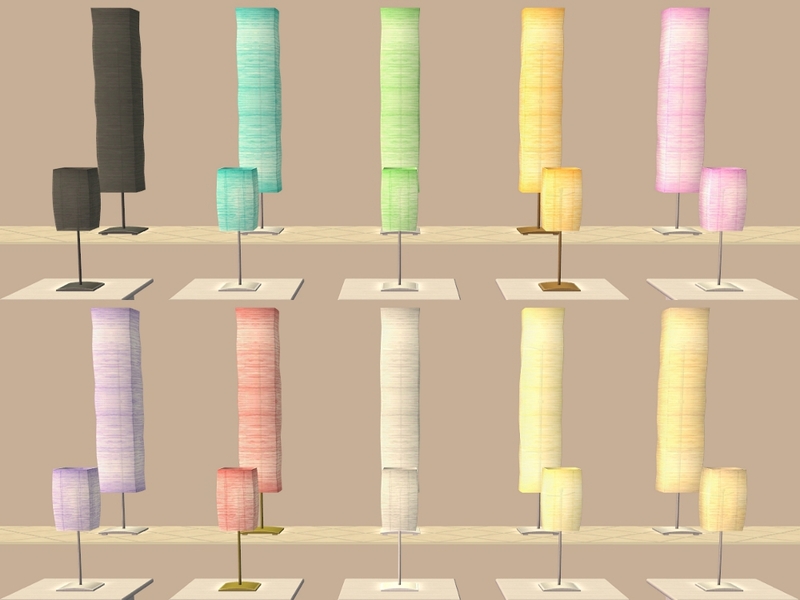 - we finally have a nice group of IKEA lamps created just for you - the "Orgel" table lamp, the "Orgel Vreten" floor lamp, the "Duno" floor lamp and finally the "Lyra" ceiling light. The first three have a translucent, handmade paper shade with a natural steel base and "Lyra" has a highly polished metal shade. 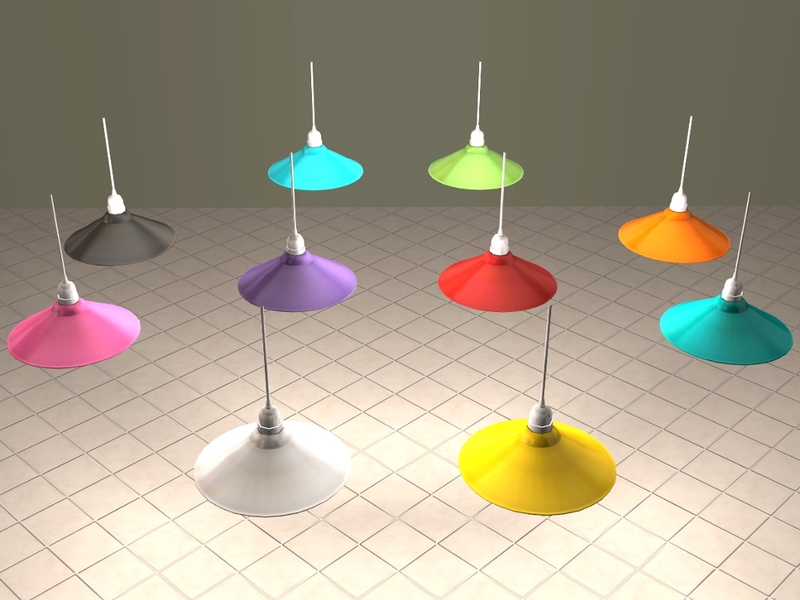 These lamps are recolourable and base game compatible, no EP's or SP's required. We hope you enjoy using these in your game! 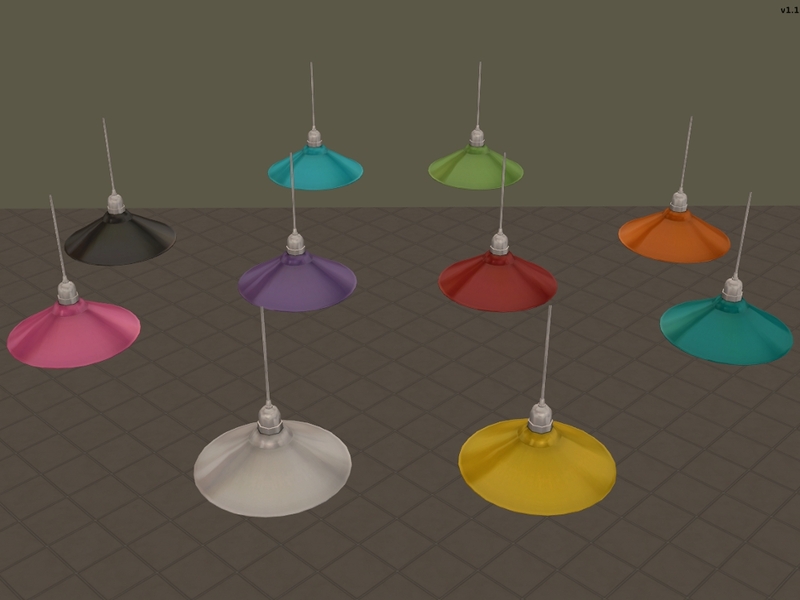 Subsets: 2 = Shade and Fixture both recolourable. 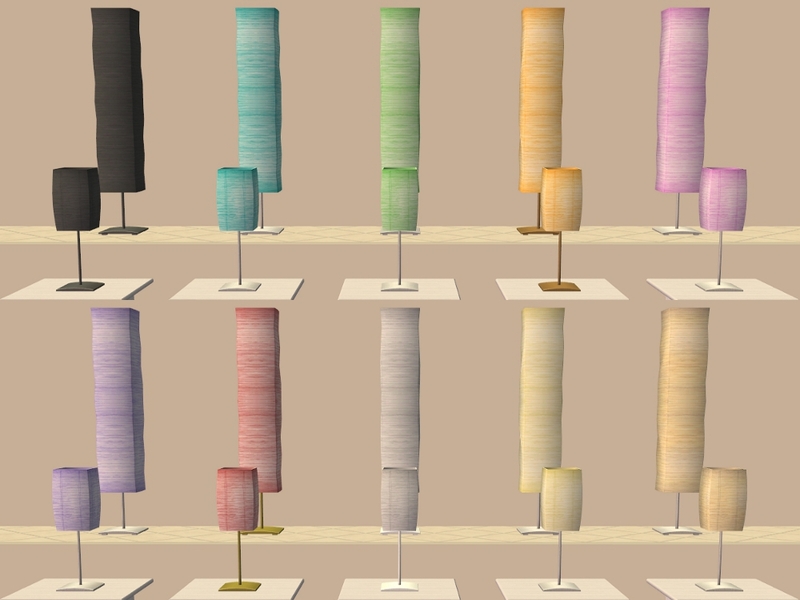 Found: Buy Mode > Lighting > Table Lamps. Price: §19. 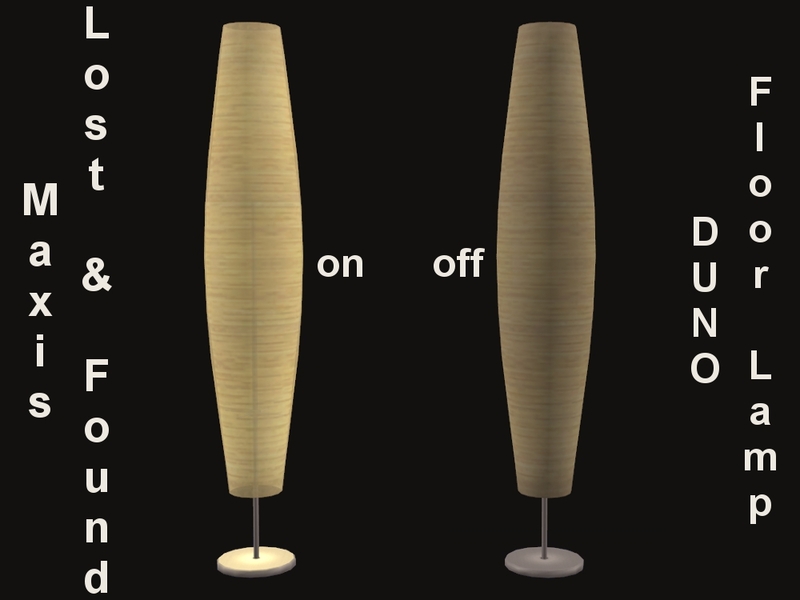 Found: Buy Mode > Lighting > Floor Lamps. Price: §24. 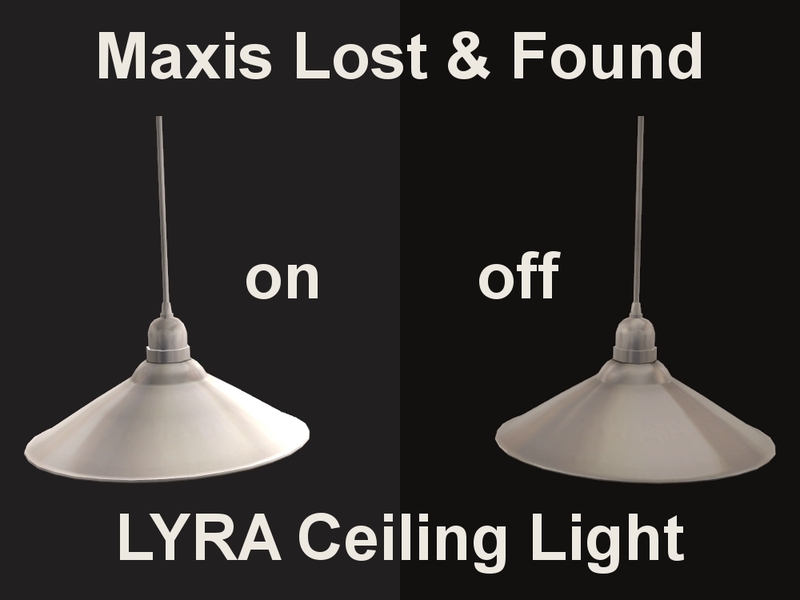 Found: Buy Mode > Lighting > Ceiling Light. Price: §24. Custom Content used in our screenshots: "What the Chev?" 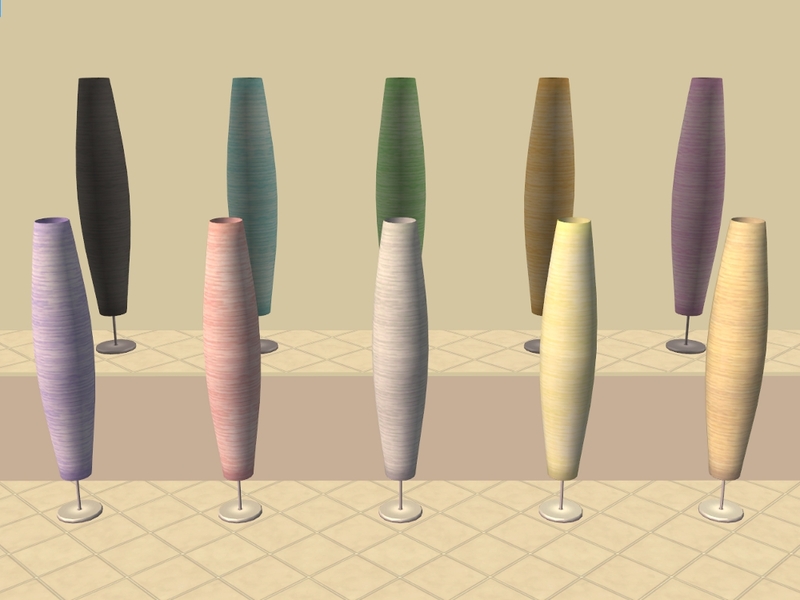 Chevron-patterned carpets by siletka, Craftsman Windows Expansion Set by tbudget, LEKSVIK Add Ons & Recolours, Walls and other recolours by Michelle can be found HERE, Curtains, clothing & hair recolours by Michelle are not available, sorry! Files have been compressed and checked in game. Pictures are included for identification in the zip file! 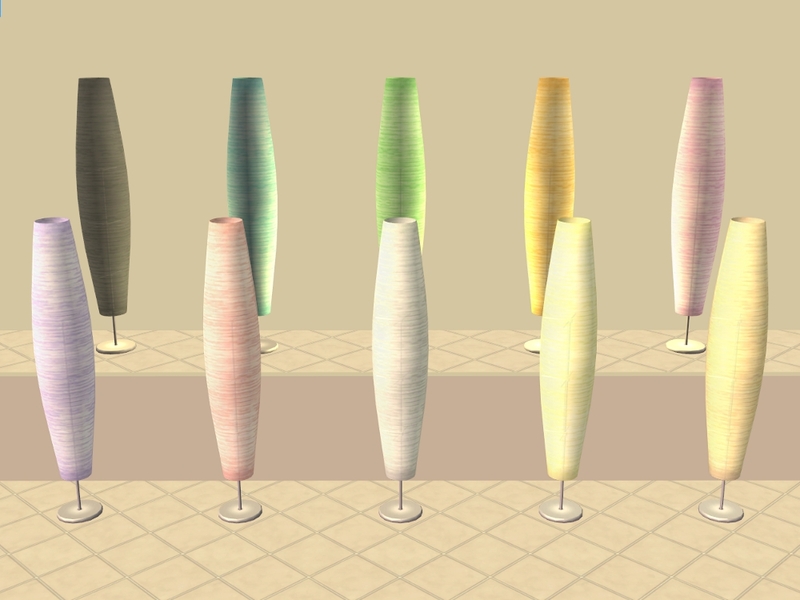 Average compared to other Base game floor and table lamps. 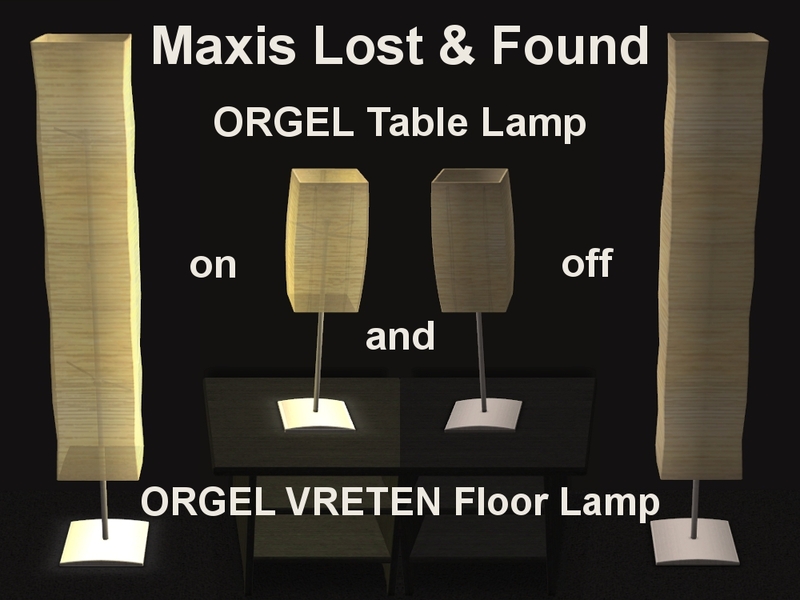 With special "Thanks" to EA/Maxis for hiding these lamps unfinished in the IKEA stuff pack!